With the recent passing of beloved fashion icon Kate Spade, we began thinking more about life, death, and how to celebrate her life in our work. We decided that the best way to do this was by incorporating concepts from Dia de los Muertos into a reimagining of one of her classic handbags. 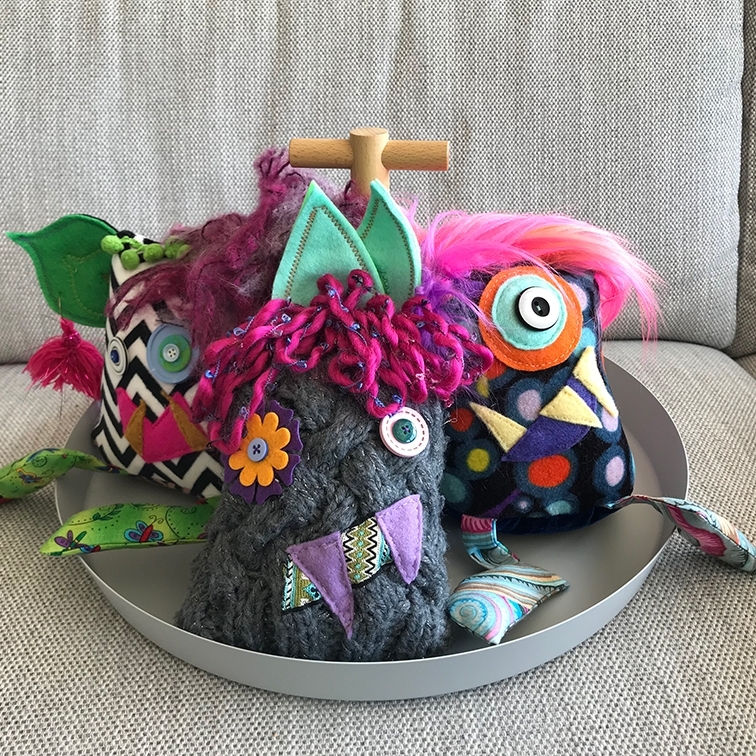 Squeebles are handcrafted, unique, stuffed monsters lovingly made out of upcycled and fibershed materials.